An interview from the 2018 International Broadcasting Convention in Amsterdam with Bryce Button of AJA Video Systems. 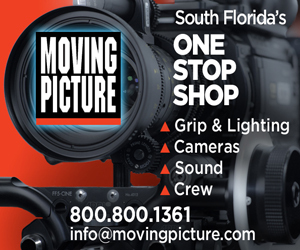 Since 1993, AJA Video has been a leading manufacturer of video interface technologies, converters, digital video recording solutions and professional cameras, bringing high-quality, cost-effective products to the professional broadcast, video and post production markets. In this interview Bryce talks with us about AJA's latest tools and updates that optimize the creation and delivery of multi-format content, allowing professionals to embrace the latest 12G-SDI and HDMI 2.0 technology, as well as emerging IP and HDR standards and formats. From KONA 5 with 12G-SDI I/O and the IPR-10G2-HDMI and IPR-10G2-SDI SMPTE ST 2110 receivers, to the HDR Image Analyzer, AJA’s latest developments address the dynamic needs of production, post, broadcast, streaming and AV professionals. The company also announced updates for its KONA, Io and T-TAP I/O products, FS-HDR converter, Ki Pro Ultra Plus digital recorder and player, and HELO for H.264 streaming and recording. The new HDR Image Analyzer fuses AJA’s proven audio and video I/O technology with Colorfront’s powerful image analysis software. The sleek 1RU device delivers a comprehensive toolset for monitoring and analzying HDR standards including Hybrid Log Gamma (HLG) and PQ (Perceptual Quantizer) for 4K/UltraHD workflows. 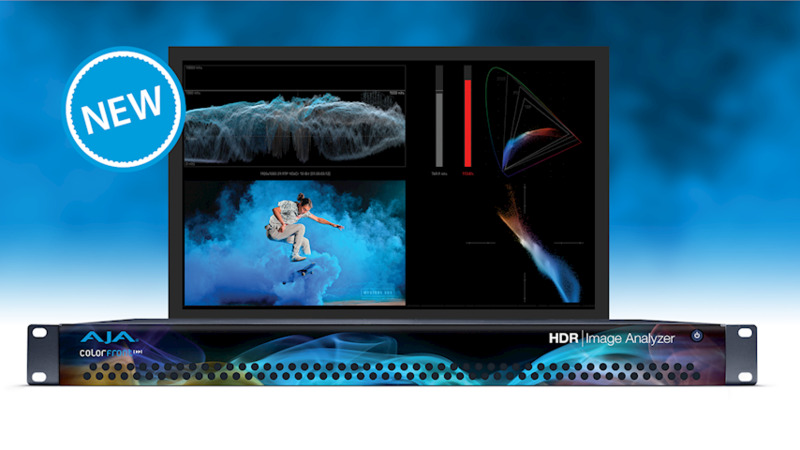 HDR Image Analyzer is the second technology collaboration between AJA and Colorfront, following the integration of Colorfront Engine™ into AJA’s FS-HDR real-time HDR/WCG converter. The IPR-10G2-HDMI and IPR-10G2-SDI SMPTE ST 2110 video and audio receivers feature dual 10 GigE SFP+ cages that provide hitless switching for redundancy protection in critical distribution and monitoring applications. The Mini-Converters also include support for bridging UltraHD and HD signals over IP to HDMI and HD signals to 3G-SDI, and discovery, registration and control, among several other features. Available fall 2018 for $1295 US MSRP each. 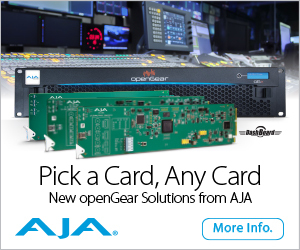 The next generation in AJA’s industry-leading KONA line, KONA 5 is an 8-lane PCIe 3.0 video and audio I/O card that supports 12G-SDI I/O and HDMI 2.0 monitoring/output for workstations or Thunderbolt™ 3-connected chassis. KONA 5 enables single-cable 4K/UltraHD and HD high frame rate, deep color and HDR workflows, and for developers, AJA’s SDK enables multi-channel 12G-SDI I/O for multiple 4K streams of input or output. Available fall 2018 for $2995 US MSRP. The v2.6 software for AJA’s FS-HDR real-time HDR/WCG converter includes color transformation enhancements, 3D LUT upload support, and ganged operations with multiple FS-HDRs for 8K workflows. FS-HDR v2.6 offers more flexibility to achieve a consistent final look when working with a range of 4K and HD SDR and HDR formats. Available fall 2018 as a free download. The v4.0 firmware for AJA’s Ki Pro Ultra Plus ProRes/DNx recorder/player is packed with recording customization improvements, including support for file naming, time code super out controls, forced rollover of recording media, and audio channel mapping. Available fall 2018 as a free download. The v3.0 firmware for AJA’s HELO H.264 streaming and recording device features new enhancements for keeping current with the latest Facebook protocols, improving system and network security, and customizing language options in HELO’s web UI. Available fall 2018 as a free download.